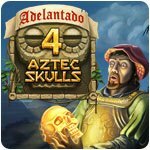 Adelantado 4 - Aztec Skulls Game - Download and Play Free Version! The Queen once again calls upon Don Diego de Leon to fulfill an important mission. The Queen once again calls upon Don Diego de Leon to fulfill an important mission. He must organize an expedition to the New Land and appoint its leader to expand the discovered territories and replenish the treasury with gold. Upon arrival, the expedition meets friendly-minded locals who tell them about their troubles. 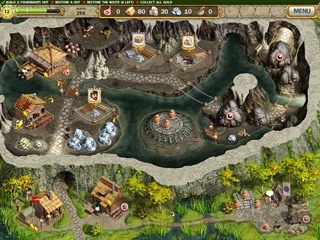 Evil priests are trying to summon a demon to subdue all known territories. Spaniards decide to help the Indians. To do this, they need to find 4 skulls that can cast a protective spell. Master Miguel Sanchez is chosen for this serious mission. 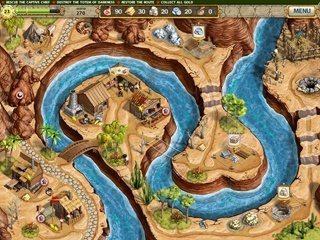 Play Adelantado 4 - Aztec Skulls and explore new territories, collect gold, and protect the locals.